Wearing most high heels gives me blisters. And let's face it, bandaids always fall off and end up in the bottom of the front of my shoe... that was until I found this product! I bought this to use as a compression wrap for my hurt finger [football accident] and ended up using a bit of it to protect my pinkie toe after a blister formed over the weekend, and I must say, it has performed well at both tasks! Why don't they make band-aids out of this stuff? Or maybe they do and I just haven't used them before... either way, this tape stays where you put it, even through readjusting and hand washing, plus it is cushioned! Perfect for areas you want to protect. 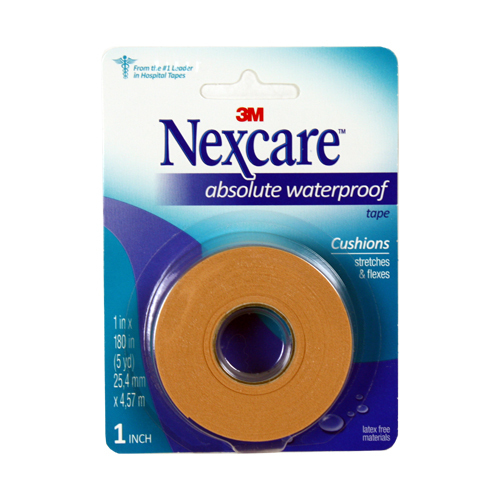 I highly recommend this product for your bandaging needs!